I incessantly poke fun at the SyFy channel and some of it’s programming--specifically the Ghost Hunters stuff. Not that I’m particularly insightful with this, but they make themselves such an easy target. I just can’t help myself. Nevertheless, that sort of nonsense has always had a rapt audience. Probably because people have always been frightened at things that go bump in the night. 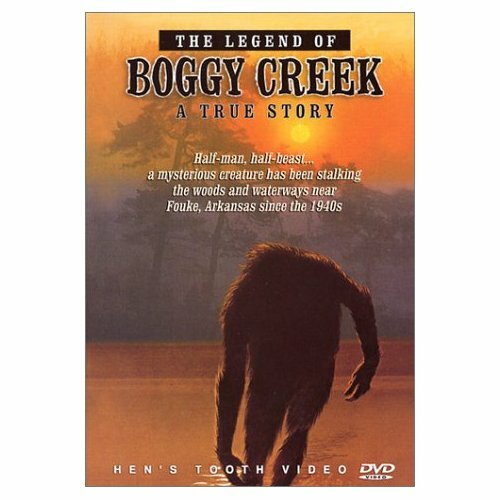 In the public domain now is that 1972, um, thriller, I guess, The Legend of Boggy Creek. The story is pretty straight forward. This is the Fouke, Arkansas re-telling of the Bigfoot legend, made on the cheap by using the rural folks playing themselves and done in a sort of “docu-drama” manner. The narrator was the local weatherman at the local TV station. Most of the rest of the cast never appeared in any other film. The guy who made the film, Charles B. 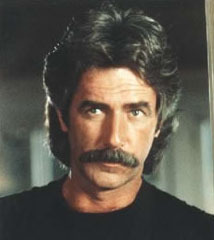 Pierce, got funding for this movie by borrowing 150 grand from a local trucking company, and then it became a Drive-In hit, grossing over 20 million. Is this a great country or what? -Without The Legend of Boggy Creek, there could never have been a Blair Witch Project. -I prefer the hair and clothing styles of 1972 to today’s idea of fashion. -Sequels spawned by this movie include Return to Boggy Creek (1977), The Barbaric Beast of Boggy Creek Part II (1985), and Boggy Creek: The Legend is True (2011). It might never end. This is a dandy way to kill an hour and a half. Available on your ROKU box and Pub-D-Hub subscription, YouTube, and a variety of home video.